Add a comforting aspect to your promotional tool. Grand impressions HD logo mats are ready to add glamour to your commercial site! What if we told you that you can get a promotional tool, a look enhancer, and a comforting foot rest all in one product? Our grand impressions HD logo mats are great for commercial use, especially if you want your brand to look flawless. And if you want your customers and clients to be impressed by your attention to detail, then this is the mat that you should invest in. With our grand impressions HD mats can be customized with your brand name and logo, giving you the right promotional advantage over your competitors. Curved or Sharp Corner Cuts? You Decide! Our grand impressions HD mats are incredibly appealing and give you a lot of room to add your creativity to its look. These mats can be ordered in any color you like, with the image and corner cut of your choice. Our mats come in curved and sharp corner cuts, which means you can choose the shape that you like without added hassle. These mats are a perfect fit for your commercial space with medium traffic situation. We customize these mats by printing images in 3D with our technologically advanced digital printers. 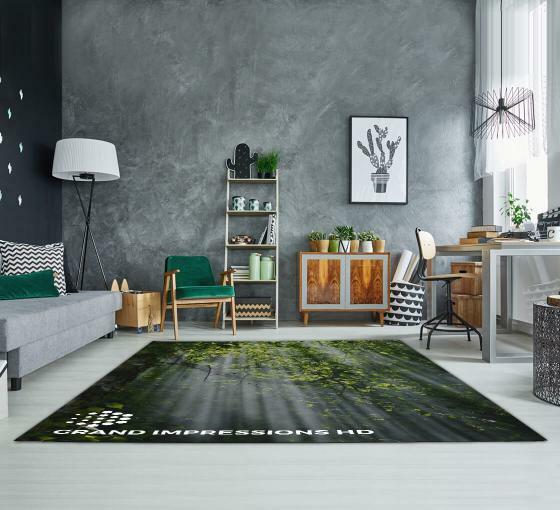 Therefore, the quality of the print is not only impressive, but quite detailed, giving your floor the right kind of look. Want to add appeal to your entrance or floors? Order our grand impressions mats now!